Kim Jong Nam, half-brother of North Korean leader Kim Jong Un, knew his life was in danger for almost six months before being murdered with a VX nerve killer, according to the Malaysian police. In Kuala Lumpur, Kim, a 45 – year – old boy, told his friend Tomie Yoshio on a trip to Malaysia six months before his death : "I'm scared for my life and I want a driver," Reuters reported. Chief investigator Wan Azirul Nizam's Che Wan Aziz led a police interview with Yoshio. Wan Azirul has not provided any information about Yoshio or his whereabouts. Two women, the Indonesian Siti Aisyah and the Vietnamese Doan Thi Huong, have been charged with Kim's murder and must face a sentence of condemned death. Defense attorneys claim the women thought they were playing a trick on a reality television show they'd been paid for both at airports and in malls in the past. Their lawyers claim that the women did not know that they poisoned Kim when they smeared his face with the nerve agent. Four North Korean refugees – Ri Ji Hyon, Hong Song Hac, O Joong Gil and Ri Jae Nam – who fled Malaysia on the day of Kim's death were also charged with the murder. Singaporean news agency Channel NewsAsia cited "high-ranking police sources" claiming that the four men had flights to the Indonesian capital of Jakarta and then returned to Pyongyang via Dubai and Vladivostok. Siti Aisyah's lawyer said his client is being scapegoated for a politically motivated murder staged by those who have already returned to North Korea. During the interrogation, Wan Azirul agreed that the two accused women had no motive for the murder. It is believed that his assassination was by North Korean leader Kim Jong Un was ordered to eliminate possible alternatives to his leadership. 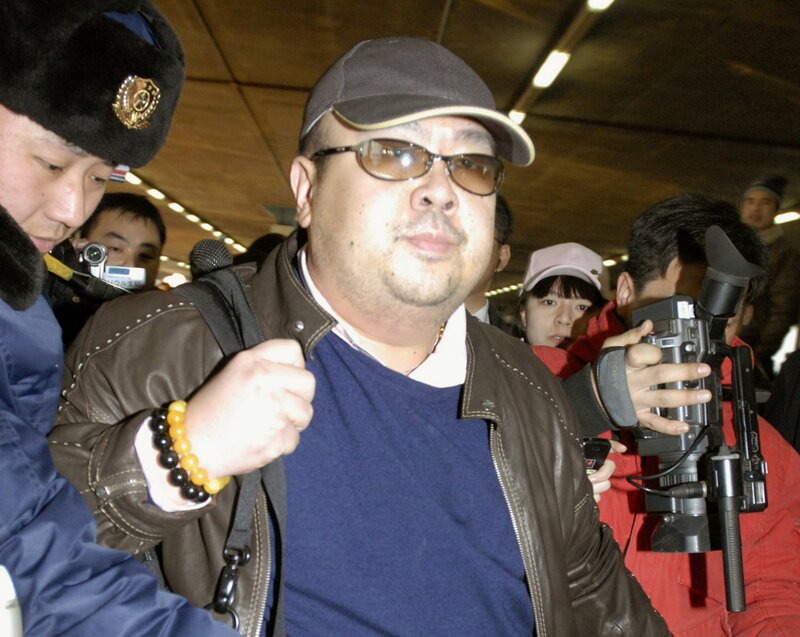 The New York Times reported that there had been a permanent order to kill Kim Jong Nam since his half-brother became the K had taken over control of North Korea. In exile in Macao, China, under the protection of the Chinese government, Kim Jong Nam had previously survived other attacks. According to reports, in 2012 he sent a letter to Kim Jong Un begging for his life Times quoted Lee Byung-ho, the director of the National Intelligence Service of the South.